Imagine you are a little robot that can carry objects around. You are flying along your merry way when suddenly you are plucked out of the sky and stuffed into a strange world. Not knowing what else to do, you start trying to find your way out. 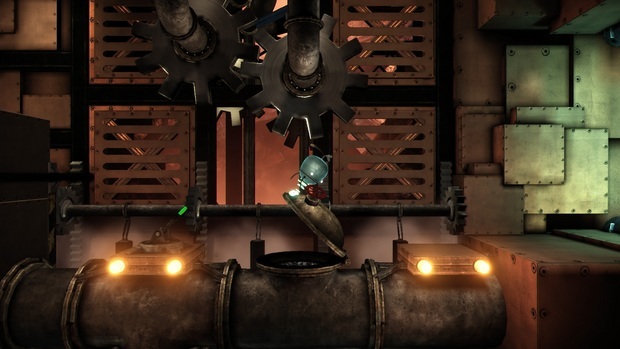 This is the situation you find yourself in in Teotl Studios and Talawa Games new puzzle adventure game, Unmechanical. In the form of some recent games such as Limbo, you are left to your own devices to figure out what is going on and what you are supposed to be doing. There is no tutorial and no clues to a backstory , who you are, what you are doing there or where you are going. This is both a blessing and a curse, as you can both see that the developers were able to use a little more freedom in their puzzles and sit around in utter consternation at the fact that you just have no freaking idea what you are doing or why. The gameplay is intriguing and fun. If the plot is not giving you enough to keep the momentum going, at least the sense of accomplishment you get from solving most of the puzzles will. You are some kind of robot that can pick things up and move them about, so you can imagine that most of the puzzles are about picking things up and moving them about. Despite this, there is quite a bit of disparity between puzzles. Some require good weight distribution, some require good timing, some require a perfect throw. Physics based puzzles are common, but you aren't going to get the "random luck" type of puzzles seen in some other recent games in this genre. Each one has a methodical solution that will work every time, even if the answer is not readily apparent. The game does have a hint system built in, though you do get an achievement for not using it. The hint system involves hitting F1/Back (on a 360 controller), after which your robot will show a thought-bubble telling you what he is thinking. It's a clever way to give you some clues on what you are supposed to be doing, however I did find many situation in which the thought-bubble was either a question mark, or showed a hint to a part of the puzzle that I had already solved. This made the hint bubble somewhat useless each of the time I did use it, and the game can easily be completed without ever taking advantage of the hint system at all. In terms of length, the game took me a little over 3 hours to complete. 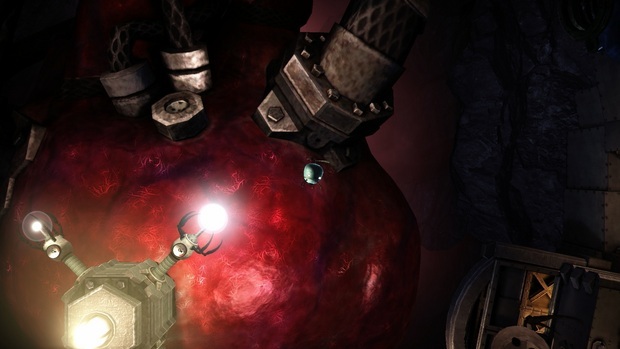 It's a decent amount of length for a puzzle adventure game, and progress is always to the point. You rarely find yourself floating through long hallways or caves where nothing is going on, instead you are consistently faced with some dilemma that you can solve. This does break up in a couple of instances where you have to go back to an area you were previously in to collect something to solve the puzzle you are currently working on or to progress to the next puzzle, but those instances are fortunately rare. Things are not all rosy, though, the music is kind of boring and a few of the puzzles just feel repetitive since you are asked to do similar things in them. Also, about halfway through the game you get an upgrade for your robot but that never happens again. It would have been nice to see a few more of those. These issues don't really detract from the pace or entertainment value of the game, though. 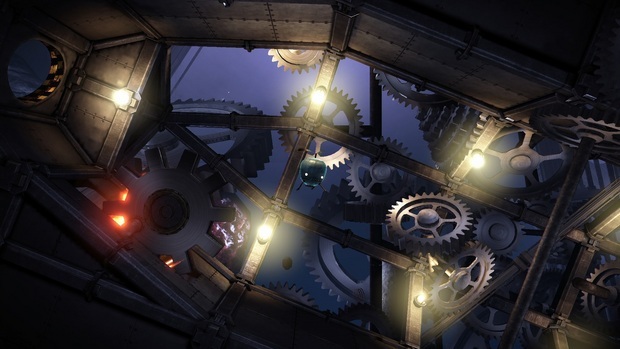 Another thing that would be really nice is if there were a way to restart each section of the game, starting a puzzle over or restarting a specific area would help you out in a few situations, though you are unlikely to ever actually get stuck. Overall, the game is quite entertaining from beginning to end. You might take it for one more spin once you're done to pick up the last few achievements you might have missed, but replayability is low. You can easily finish the game in just over an hour after the first time you have completed it. Still, this is a great platform for some simple yet challenging puzzling and so hopefully Teotl and Talawa have some plans to expand it in the future.